Perhaps no other industry in history has seen such a radical transformation in such a short period of time as consumer retail has, and continues to, especially in India. Even the telecom transformation was spread over a decade or more to become transformational for the industry and the consumer. Technology, e-commerce and multiple mediums of interaction and social-commerce etc. are drivers of change in consumer retail. The nature of the buying behaviour of the consumer has changed fundamentally in the past few years, and continues to evolve as multiple channels of interaction become part of the consumer’s product discovery, decision-making, purchase, post-sales support, and overall consumer experience. Now, also imagine the Tesco example above being integrated with NFC and analytics. E.g. given that it is a virtual wall, unlike the physical stores, the inventory displayed can be changed dynamically depending on who’s in front of the wall. Imagine a new parent getting packets of diapers in front of him, while the teenager behind her seeing acne cream displayed in front of her. The technologies for all these exist. While the environment has changed, and e-commerce and m-commerce and offline and online marketplaces coexist, the industry continues to operate in silos – the e-commerce players and offline retailers operate as two different and philosophically competing worlds. As a result, it is the consumer who is currently making the efforts to navigate the online and offline worlds, as neither traditional retailers, nor new offline retail format brands or e-commerce players have made any substantial effort to integrate the consumer experience across different touch points. While online commerce should have been the new marketplace for existing retailers – large and small – the phrase ‘it is difficult to make the elephant dance’ came true. New entrepreneurs captured the space, and traditional retailers have been on a catch up game, though slow. It is rather surprising that none of the traditional retail brands have a user-friendly online presence, and certainly not one single traditional retailer is a dominant brand in the online retail space. The rise of e-commerce, though impressive and certainly very visible with stories of entrepreneurial successes and funding rounds being splashed across media, will not mean the end of offline retail. Offline retail, with its ability to offer touch and feel experience will continue to play a role, albeit significantly changed. It will have to evolve to integrate the experience across multiple channels of engagement. An integrated approach with virtual and physical spaces providing a convenient experience to the consumer is how consumer retail brands will have to think of the future. To survive and thrive, consumer retail brands will have to invest heavily in reconfiguring their business to address the changed reality. Here’s what I think it will mean for traditional, offline retailers? Less number of physical stores – as business moves online, the typical roll-out model may need a rethink. Physical retail outlets will become ‘experience’ spaces rather than sales outlets – this means that stores could be smaller, stocking just one unit which the consumer experiences, and on purchase, the product could be delivered from a centralized warehouse that services a particular geography. Sales personnel in outlets will have to be trained to help the consumer complete the research rather than just push products. Investments in technology, processes and logistics infrastructure, which will make the business cost-efficient as it reduces high-street rentals due to the ability to serve the consumer with small sized outlets. They will have to move to a hybrid model to provide the customer the ‘touch & feel’ experience that they seek. Collaborating with offline players for an integrated experience, rather than competing, will be the way forward. Investments in logistics, supply-chain, warehousing and customer support will continue to be made. What does this mean for consumer brands? They will have to reconfigure their business models to factor in the multi-channel strategy. Analytics, customer-capture and retention competencies will decide the players who have better margins in the marketplace. Like in telecom, India is poised to leap frog and skip a few steps in the evolution of consumer retail. E-commerce has already solved the problem of access for consumer markets not served by traditional offline retail. As consumers in rural India evolve, they will demand the same level of experience as consumers in metros. And if the traditional offline retailers and new e-commerce giants do not address that need, we will see new entrepreneurs emerging to address that opportunity. The elephants will have to learn to dance. Else they will be taken for a ride. 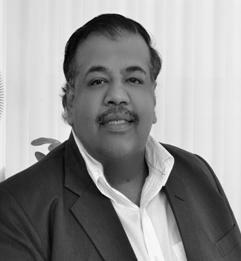 Sanjay Bansal – Founder of Aurum Equity Partners LLP. This article was originally published in Yourstory. Click here to read the full article.